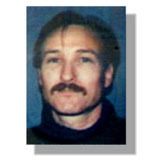 Robert has been working with electronics since junior high school, and has been involved with microprosessors since the late 70's. He cut his geek teeth on the likes of the 6502 and the 8080. 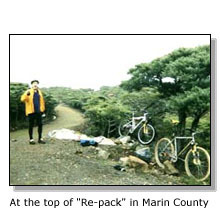 The late 80's found him working in San Francisco at a major VAR, supervising configuration of $5 million worth of computers a month for clients like Pac Bell, Levi Strauss, and Charles Schwab. He then moved into corporate support, beginning on the desktop and working up through servers to infrastructure, at places like National Semiconductor and Oracle. Robert is currently working as an Engineer at Digex, the World's Largest Managed Webhost. 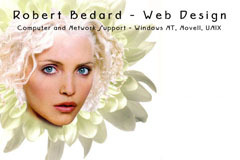 Robert now focuses on web development, working from his home. Here is the web-based version (HTML) of my resume, for those of you without access to Microsoft Word. Here is the Microsoft Word version (V:7) of my resume, for those of you with access to Microsoft Word. It provides more detailed job descriptions. I love - Cycling, which I mostly do off-road now; Horticulture, I used to grow and hybridize Orchids; I have an ecclectic taste in music, I was raised on Classical, Blues and Jazz, but I love anything that is good. I consider myself somewhat of an epicurian, I grow much of my own produce, and love to prepare and enjoy quality food. I have a decidedly idealistic and ethical world view, as evidenced by my volunteer activities listed below. I believe in volunteering time to support good causes that are intrinsically cash-poor. 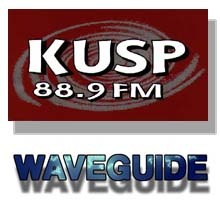 This year I did the On-line Auction Catalog for KUSP. I have donated Web Design services to the annual KUSP Auction for two years in a row previously, in addition to volunteering there once a week last year to teach an informal class on PC, Application and Internet-related topics. Likewise, I have donated a Web Design package to the auction held each year by the private high school that I attended. I also run a website called Wave-Guide, which explores the controversy surrounding the debate over Microwave Radiation Health Effects, (aka: EMR Bioeffects), recognized by Snap! and by many others as one of the best sites on this very difficult topic. 1244 hits since 06-17-2001, updated 06-17-2001. All content ©2001, Robert Bedard.